We invite everyone to join us in celebrating Christmas, New Orleans style! 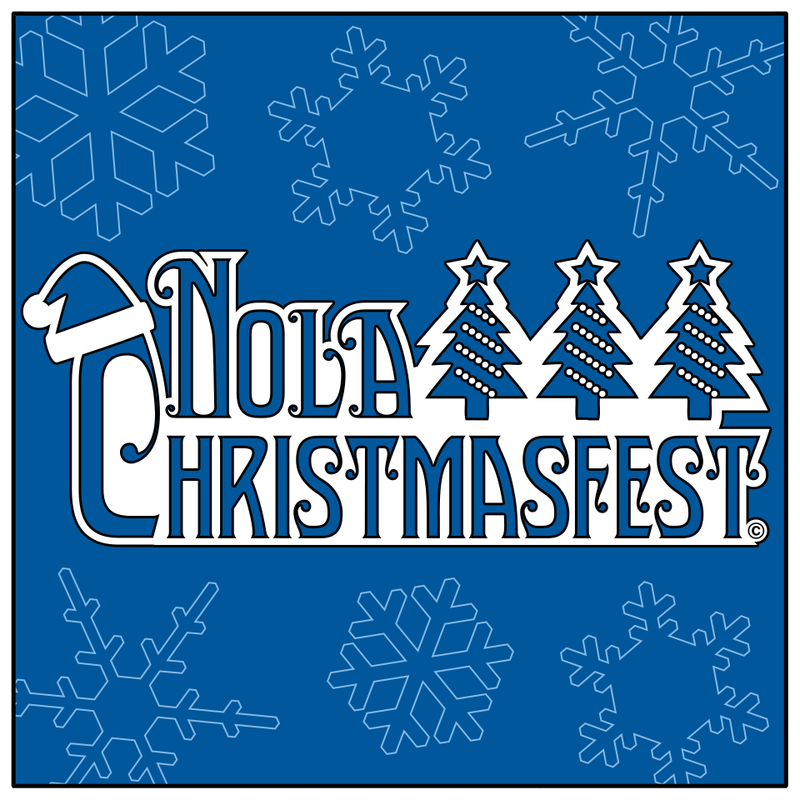 NOLA ChristmasFest, formerly known as Christmas in the District, was launched in 2013 by the New Orleans Ernest N. Morial Convention Center with the mission to increase demand for hotel rooms, restaurant covers and retail spending during the traditionally low tourism season between Thanksgiving and Christmas. These goals are all about sustaining the city of New Orleans as one of the top ten holiday destination cities in the nation. The newest holiday celebration in the Crescent City will feature a mile of lights and indoor Christmas activities for the entire family at the Convention Center. From December 1 through January 6, Convention Center Boulevard will be festooned with lights. Inside, the 10-day indoor family Christmas festival will take place in Hall B from December 18-27. Facing Julia Street, the facade of the Convention Center will be decorated in lights synchronized to Christmas music. The Hall B entrance will be festooned with a 25 foot Christmas tree and filled with over 70 Christmas trees decorated by local businesses and organizations to promote this industry. Santa, Mrs. Claus, Rudolph and all their friends will be onsite for photos, autographs and professional photo booth opportunities. An array of activities including New Orleans’ only indoor ice skating rink, the Kringle Carousel, Amazing funhouse Maze, carnival rides and inflatables await children once school has let out for the holidays.